"There's so much pain that people carry and try to avoid," Cat Power says. "That's why music is so incredible." 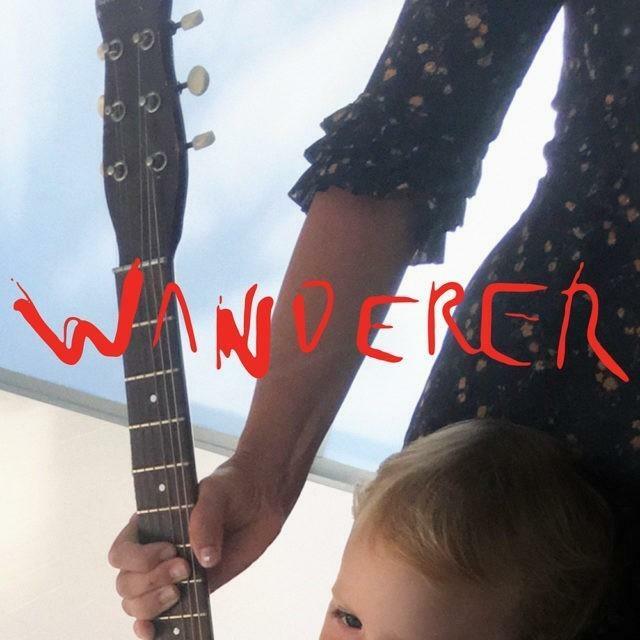 Cat Power's Wanderer is available now. The word "first" comes up a lot when talking about the latest album from Cat Power. It's the singer's first in six years, her first since giving birth to a son (notice his forehead peeking out on the album cover) and her first since leaving Matador, her longtime record label. But one thing is not new: As is often the case with Cat Power's music, this collection is spare and emotional. Her latest album, Wanderer, out now, draws on the singer's state of consciousness and her idea that as humans, we're all wandering for our purpose life. 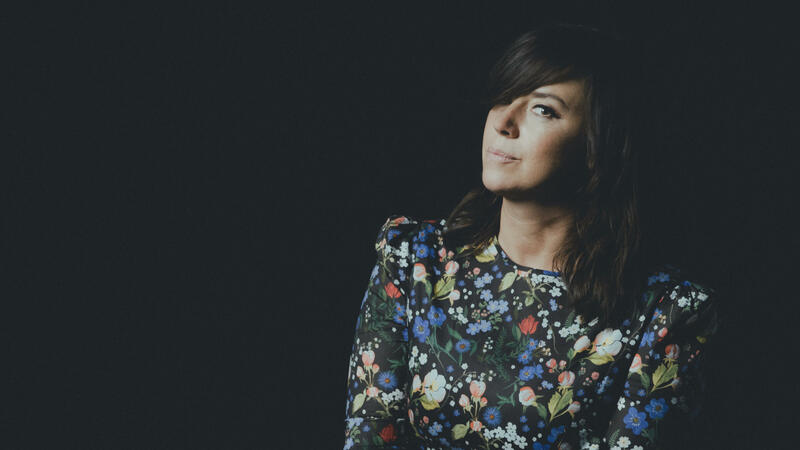 Cat Power, whose name is Chan Marshall when she's not making music, spoke with NPR's Lulu Garcia-Navarro about how she remembers her own childhood through music, how motherhood has made her more grounded and how this album is meant to serve as a reminder to keep striving. Listen to the conversation at the audio link and read an extended transcript below. Lulu Garcia-Navarro: Your new album is called Wanderer. Who is the wanderer? Is it you? Chan Marshall: It's more of a state of consciousness, I think. And within that, we break even with the world, if we're lucky. We're all looking for something. We're all searching. Pretty much, I think so. I think it's our nature, as this human species. I think I've found what I never thought I would have. I've found what I never thought I would see, which is becoming a parent. There's no words for what I have now in my heart. But I'm still myself. The psychospiritual parts of me are always looking for truth, always looking for beauty in all that truth. Your little boy is now 3 years old, and we can just see the top of his head on the cover of the album. Does motherhood influence your music now in a different way? Does it come from a different place? It's for Bo — my son's name is Boaz — so it's for him. Definitely, before even meeting him ... I was carrying this little thing inside, this very important thing inside, this spirit. I instinctively created a protective alliance. So, he's granted me a sense of protection that I've never known before. And that has carried on into me making sure I didn't operate this album to be a "hit record." That was all the pressure from my last album. I have a very, very strong sense of protection that I never felt before. I'm not sure if it comes from him or the act of being a mother ... It hasn't really affected my songwriting or my recording process, but it definitely has instilled a very strong sense of being grounded in my own human life. The song "Horizon" has been called the emotional centerpiece of Wanderer, and the lyrics talk a lot about family. What's going on in the song? These people that I'm singing about were everything to me in my life as a child. I chose to have a different path in my life, and this song is just choosing love over any other story or memory. This song is like a bouquet for my family, and for our past together that we shared, when I was a young kid. You used the word recovery, and you've been pretty open about talking about mental health issues and substance abuse issues. Are those things that you're still having to confront? Are those things that you carry still? I grew up with with an addict parent. I'm still on the path of trying to, not heal myself — because I'm older now and so many things have changed — but with my child, my procedures of parenting, I try to make sure I never let this kid down in that way ever, in any way. You don't want to pass on what maybe was passed onto you. No, absolutely not. And I was never an addict. I suffered from very deep depression. I was suffering. I was trying to turn out the lights to function in society. There's so much pain that people carry and try to avoid. That's why music is so incredible, and art in general, literature, film and things that bring us closer to one another. But this song "Black" on the album is actually about addiction, and those who've come before and lost their lives. The story is being told from the ghost perspective. And why was it important to include that? I had a very, very good friend that had overdosed. It happens. I feel like it's just been happening since I was little. But I never got angry when a friend passed from overdose. This friend survived life support, and I was actually angry. I think, because he survived, it put me in touch with all these emotions that I didn't have before, when a friend would pass, because there was nothing I could do. They're gone. But this time, I didn't have anywhere to put that anger, so I put it in that into that song. And I made that anger go away through writing that song. There's so many reasons why we feel so intent about certain feelings, because of losing friends, that pain over all these years of all the ones who've gone before. There are still friends that are still battling and struggling, and there are friends that have definitely climbed up to the higher road, and are on that path and it's day-by-day. Life is a lesson, and sometimes it's difficult to learn. I'd like to talk about one more song, and this one is a cover on this album which is Rihanna's "Stay." Wanderer seems to be such a personal album. How does someone else's song fit into into your story here? Since the recording of this album, there were a few friends that had passed. I had to go to L.A. to mix the record with [engineer] Rob Schnapf. I was in a cab before I went, like the week before I went. When you're a single mom, and you've got to pack, and get the flights, and go to mix the record and all the stuff you got to do. This song came on in the cab, and I was removed. There's songs, and then there's song-tellers, song-singers. You take the same song by Billie, Aretha, Nina, Ella, Eartha — everybody's got their own story, even though the words are identical. So I had heard Rihanna sing many, many times, but I was in this cab and the world around, she just removed it. She transported you, which is what good music does. Exactly. She took away all this recent grief; she took away the all the stress and troubles. She pushed me through, and I realized I was crying. People like to talk about vibrato, in their voice. When Rihanna sings ... love is the highest frequency. Her vibration, and her voice, it just resonates so instantly. You hear it in your heart chakra, or something in your subconscious, because of that frequency, and I think that's why she's so appreciated and loved, because of her gut. She has a strong gut and this vibrant vibration. It seems like you've been through quite a journey. What do you want listeners to take away from this album now? That they're not alone. That we're all on this ball of mud, this tiny speck, a ball of mud together. We all feel all the same things. Maybe we don't know how to communicate well. Maybe we're learning. Maybe this lifetime, for all of us, is just a learning spell. I'm not sure if we'll be back, or where we're going, but just hold on. Keep your chin up. Keep striving. Don't forget the small things are sometimes the most beautiful. And try to forgive, when you can ... and s*** like that. The word first comes up a lot when talking about the latest album from Cat Power. It's the singer's first in six years, its first since she gave birth to a son. And it's her first since leaving her longtime record label. But one thing is not new here, as is often the case with Cat Power's music. This collection is spare and emotional. CAT POWER: (Singing) When you see my face in the crowd with a look of obsession, there's no subtle way to say there's plenty of defense and discretion. GARCIA-NAVARRO: Cat Power, whose name is Chan Marshall when she's not making music, joins us from our New York studios. Welcome to the program. CAT POWER: Thank you so much. GARCIA-NAVARRO: Your new album is called "Wanderer." Let's listen to the title track. CAT POWER: (Singing) Oh, wanderer, I've been here wondering, if your brown eyes still have color, could I see? That night, that night with those hands, those hands. That night, that night, oh, galleon ring. GARCIA-NAVARRO: There's something Celtic and lilting about that. Who is the wanderer? Is it you? CAT POWER: It's more of a state of consciousness, I think. So the wanderer's everybody, you know? - that are on Earth. GARCIA-NAVARRO: So we're all looking for something. We're all searching. CAT POWER: Pretty much. I think so. I think it's our nature as the human species. GARCIA-NAVARRO: And what are you looking for? CAT POWER: I think I've found what I never thought I would ever see, which is becoming a parent. You know, I have this - it's like there's no words for what I have now in my heart. GARCIA-NAVARRO: Yeah. I think your little boy is now 3 years old. And we can just see the top of his head on the cover of the album. It's really cute. GARCIA-NAVARRO: I only ask because your son is now on the cover, and you mentioned how much it's changed you. Does motherhood influence your music now in a different way? Does it come from a different place? I mean, how does it sort of infuse it? CAT POWER: I have a very, very strong sense of protection that I never felt before. I'm not sure if it comes from him or the act of being a mother. If that just happens to us, I'm not sure. And so it hasn't really affected my songwriting or my recording process. But it definitely has instilled a very strong sense of being grounded in my own human life. GARCIA-NAVARRO: Well, that brings us to the song "Horizon," which has been called the emotional centerpiece of "Wanderer." And the lyrics talk a lot about family. CAT POWER: (Singing) Mother, I know your face. Father, still hold your place. Sister, I'm around you. Remember me. This song is basically flowers, roses for the relationship from when I was a child. You know, these people that I'm singing about were everything to me in my life as a child. And, you know, I chose to have a different path in my life. And this song is just choosing love over any other story or memory, to choose hopefulness, to choose health and recovery and all those things on my path. GARCIA-NAVARRO: You use the word recovery. And you've been pretty open about talking about mental health issues and substance abuse issues. Are those things that you're still having to confront? CAT POWER: The addiction and the mental health, I grew up with an addict parent. So I think it's just like with my child, my procedures of parenting, I try to make sure I never let this kid down in that way ever, so that's in any way, really. GARCIA-NAVARRO: ...Maybe was passed on to you. CAT POWER: Absolutely not. So - and I was never an addict. I suffered from very deep depression. So I was never an addict. I was never an alcoholic. I was trying to turn out the lights to function in society. There's so much pain that people carry and try to avoid. But this song "Black" on the album is actually about addiction and those who've come before and lost their lives. The story is being told from the ghost's perspective. CAT POWER: (Singing) Let me tell you a story about Black, the one memory and the one who threw it right back. He was down, so I took a ride. He moved the best way out of there, so I took his advice. GARCIA-NAVARRO: I'd like to talk about one more song. And this one is a cover on this album, which is Rihanna's "Stay." CAT POWER: (Singing) Not really sure how to feel about it. Something in the way you move makes me feel like I can't live without you. It takes me all the way. I want you to stay. GARCIA-NAVARRO: "Wanderer" seems to be such a personal album. How does someone else's song fit into your story here? CAT POWER: Since the recording of this album, there were two friends that had passed, and - a few friends. I'm sorry. I just remembered. So I had to go to LA to mix the record. And I was in a cab before I went, like the week before I went. And, you know, the song came on in the cab. And when Rihanna sings, she took away all this, you know, certain recent grief. She pushed me through. GARCIA-NAVARRO: It seems like you've been through quite a journey. What do you want listeners to take away from this album now? CAT POWER: That they're not alone, that we're all on this ball of mud, you know, this tiny speck of ball of mud together. I'm not sure where we're going, but just, you know, hold on. Keep your chin up when you can and [expletive] like that. (Laughter) Sorry. GARCIA-NAVARRO: (Laughter) Cat Power's new album is called "Wanderer." Thank you so much. CAT POWER: (Singing) I want you to stay, want you to stay. Round and around and around and around we go. Transcript provided by NPR, Copyright NPR.